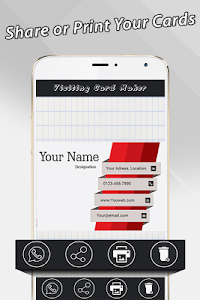 Makes your visiting card, business card or name card by using Visiting Card Maker app in just a minute.Visiting card is the most versatile card maker for Android! 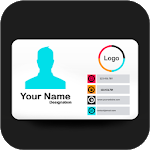 Visiting card lets you build and share perfect custom visiting card or business card for yourself, it’s also save digital business cards into phone gallery. 1.300 visiting card (Six category of built-In Card template) each category contain more than 30 business card. 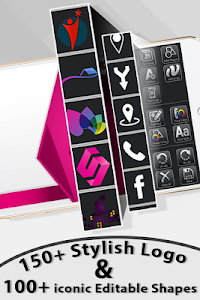 3.You can also choose custom Shapes and Logo from phone gallery. 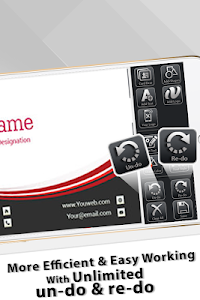 4.A simple application which makes your visiting card, business card or name card in a minute. 6.Choose the iconic vector shapes color of your choice. 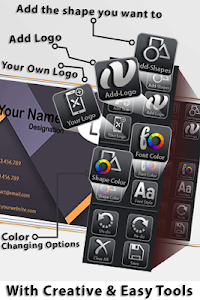 8.Allow you to add Built-In business Logo, Maximum three Logo can be added on Card. 9.You can also add Built-In shapes in your Visiting Card, Maximum Eight shapes can be added on Card. 10.You can create your card with and without the logo, shapes or Text. 11. 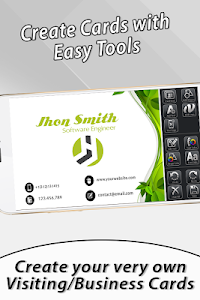 Allows you to add Text on your card with custom Font style and color. 12.You can undo, redo or reset your Visiting card setting. 13.You can make a printable digital Visiting card. 14.Allow you to Save templates and use them as per need and grow your business networking. 15.Share Visiting cards on Facebook, Twitter, Whatsapp, Instagram and Email etc. 16.Save the Visiting cards in phone gallery. 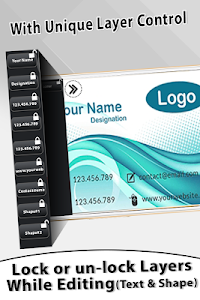 1.Choose Visiting card, Business card or Name card from within the application template categories. 2. Add your business details according to your requirements like your name, company name, mobile number, email address, website, etc. 3.After Adding text on your Card, “Text-Layer” appeared on Top left corner of card, allowing you to edit a specific text or shape by locking and unlocking layer. 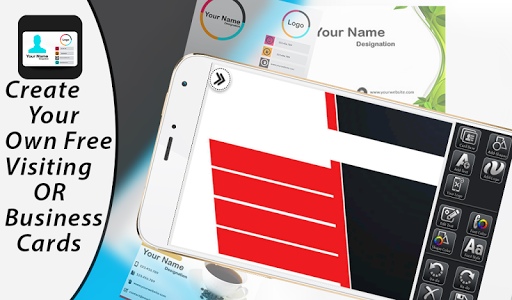 4.Select custom font style for your digital Visiting card with custom font color. 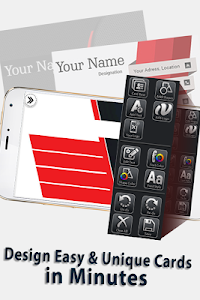 5.Insert Logo, Shapes as per your requirement, you can choose shapes, Logo from within app or from phone gallery. 6.Your card is ready save it or share it with your business network. 7.Save your Visiting Card for later use. 8.Now you can also print your Visiting card. 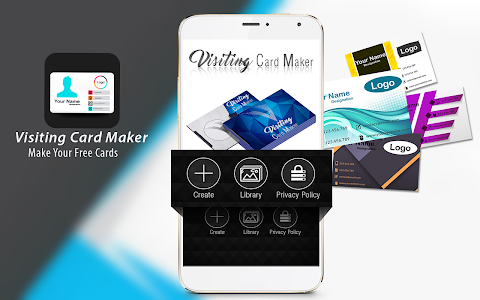 Similar to "Visiting Card Maker"